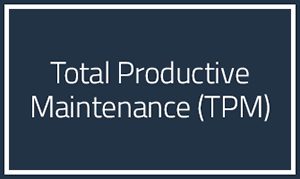 TPM (Total Productive Maintenance) focuses on getting managers, maintenance, and equipment operators working together to prevent equipment problems and prolong the life of equipment. OEE (Overall Equipment Effectiveness) will be introduced, describing the 6 Major Downtime Categories shared with any process. Participants will learn how to develop a strategic plan for increasing the uptime of a given process.